Inspired by the romantic curves of famous Venetian lampshades, this series brings the drama and enchantment of Venice to hospitality and residential interiors alike. 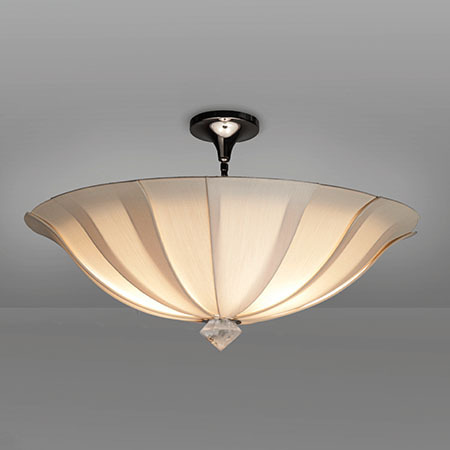 The delicately shaped silk petals of the pendant create subtle areas of light and shadow. 30″diameter x 13 1/2″h. | Shade height 8″. | Canopy 5 1/2″ x 3″h.